Historical flag of the ancient Irish province or kingdom of Leinster. Flag of the kingdom or province of Leinster, one or Ireland's traditional provinces. 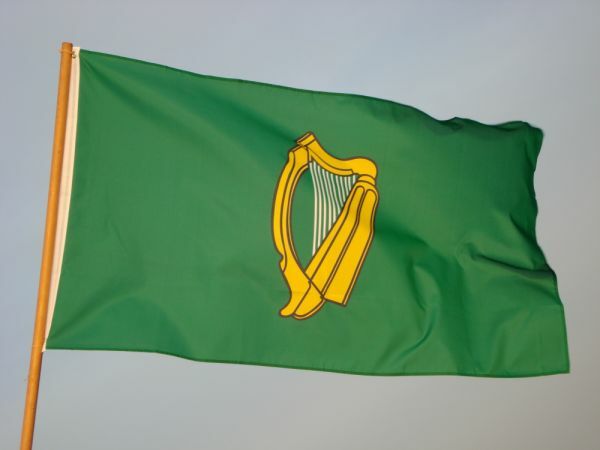 Although the old Irish provinces have no longer a legal status, this flag is used today in a sporting context, as Ireland's four professional rugby teams play under the names of the provinces, and the Gaelic Athletic Association has separate Provincial councils and Provincial championships. + Size: 150x90 cm (3'x5').